Routehappy by ATPCO announced that it has created a new Amenity – Beverages. This is the first new Amenity category to be added by Routehappy in three years, and will track the type and availability of beverages, along with whether they are provided for a fee or at no cost. Routehappy has also enhanced its Food Amenity, which will now go beyond fresh food to feature a comprehensive list of all food types, including Light Meal and Snack, for select airlines. Routehappy, the industry standard for airline rich content, will now track eight flight amenities: Seat, Aircraft, Layout, Wi-Fi, Entertainment, Power, Food/Enhanced Food, and Beverages. 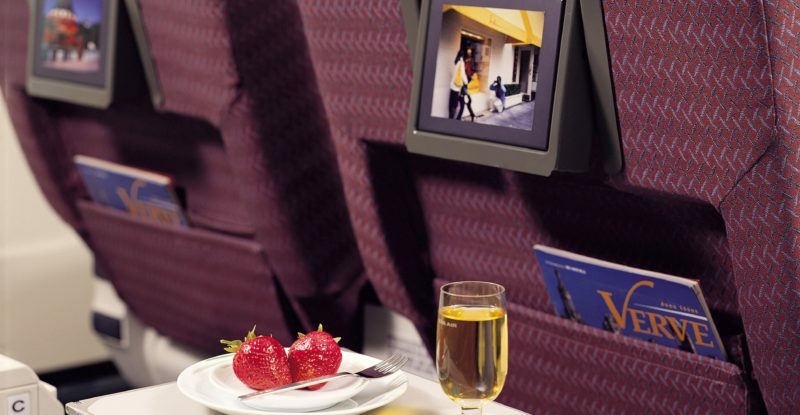 Qantas is the first airline to integrate the new Beverages Amenity and Enhanced Food Amenity on its direct channel website, now live on Qantas.com. The new data is available immediately to all Routehappy Amenities subscribers. However, Enhanced Food and Beverages are both Premium Amenities and only available to airlines with Pro subscription tiers or higher. These Premium Amenities deliver significantly more robust and useful amenity data for flight shoppers across all direct and indirect sales channels. Enhanced Food and Beverages both note whether the options are free or paid, so consumers have a clearer picture of the products offered during a flight. 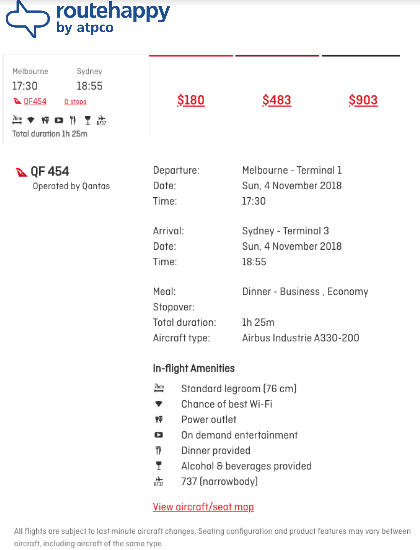 Routehappy currently has Beverages and Enhanced Food data for approximately a dozen global airlines, including Qantas, with more airlines in queue for development. 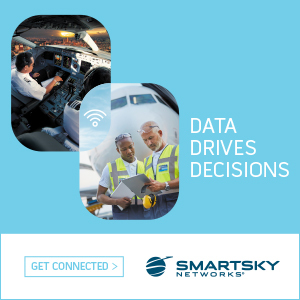 As with all other amenities tracked by Routehappy, its team of airline researchers will continuously update this latest amenity data to reflect the airlines’ latest offerings. Airlines that would like to be covered with Routehappy Beverage and Enhanced Food Amenity data can contact Routehappy for more information or to subscribe at partner@routehappy.com. Routehappy by ATPCO, the industry standard for airline rich content, helps airlines and distributors differentiate and better monetize their products. Routehappy’s Scores & Amenities API provides flight scores and cabin amenity data, including aircraft, seat, layout, entertainment, Wi-Fi, power, fresh food and relative duration. Routehappy Hub is a cloud-based solution that helps airlines create, manage and distribute targeted product and ticket attribute content, in standardized formats UPA (Universal Product Attribute) and UTA (Universal Ticket Attribute) wherever flights are displayed. Routehappy is a wholly owned subsidiary of ATPCO. Based in New York, Routehappy by ATPCO serves airlines and distributors worldwide.